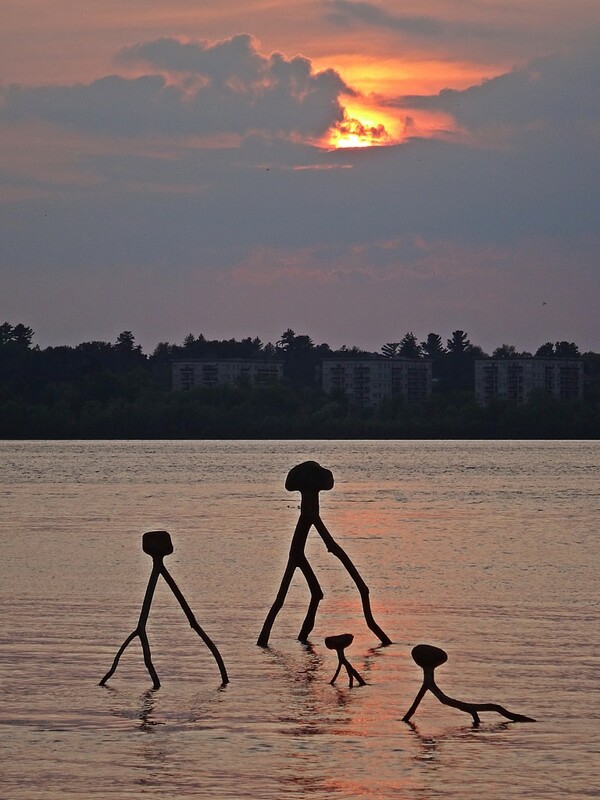 In late summer, when water levels drop in the Ottawa River, a fascinating glimpse into ancient history emerges into view. 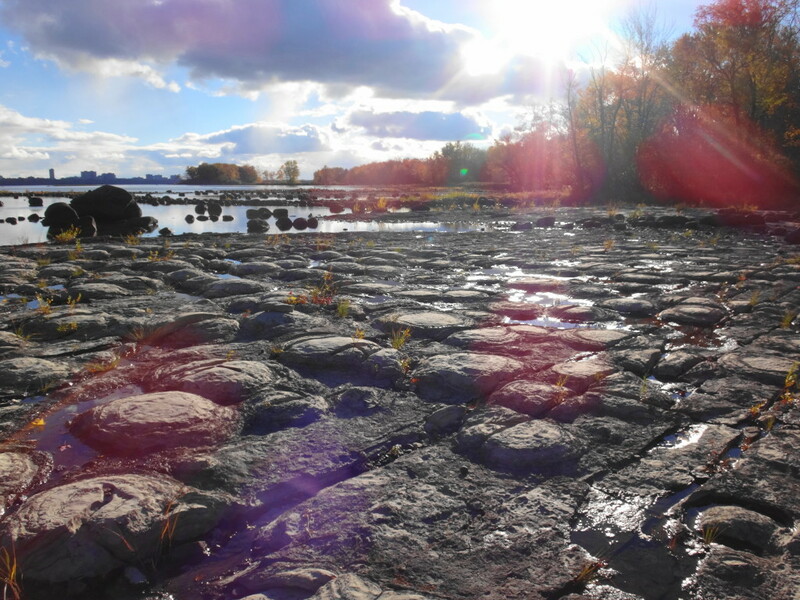 The Ottawa River stromatolites lie below the Quebec side of the Champlain Bridge. 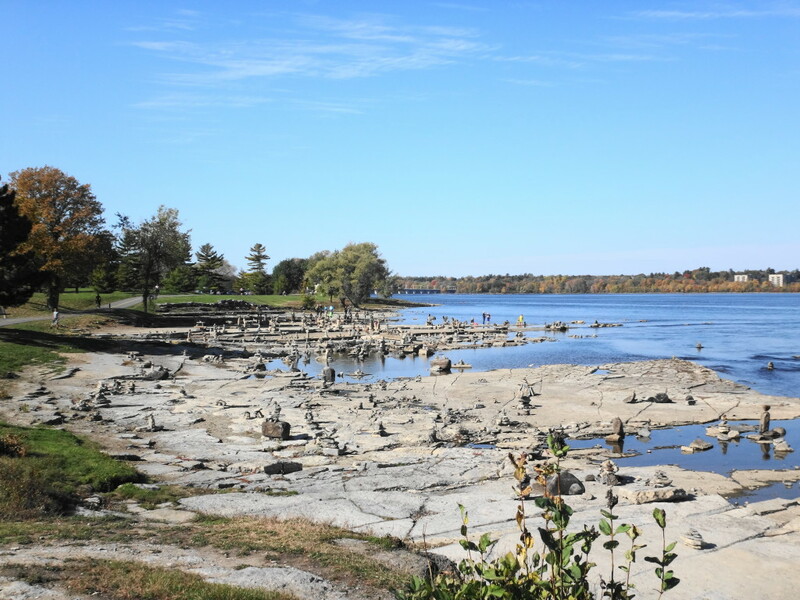 460 million years ago, in a shallow, salty embayment of a tropical sea, colonies of blue-green algae cemented together sediments and calcium carbonate into low mounds of limestone (http://www.ottawagatineaugeoheritage.ca/subsites/4). They survived the geological cataclysms of next half billion years to be scoured clean by the river and exposed on the pretty, wooded shoreline. Perhaps nowhere else in the world can one leave a damp footprint on such tangible evidence of ancient life. 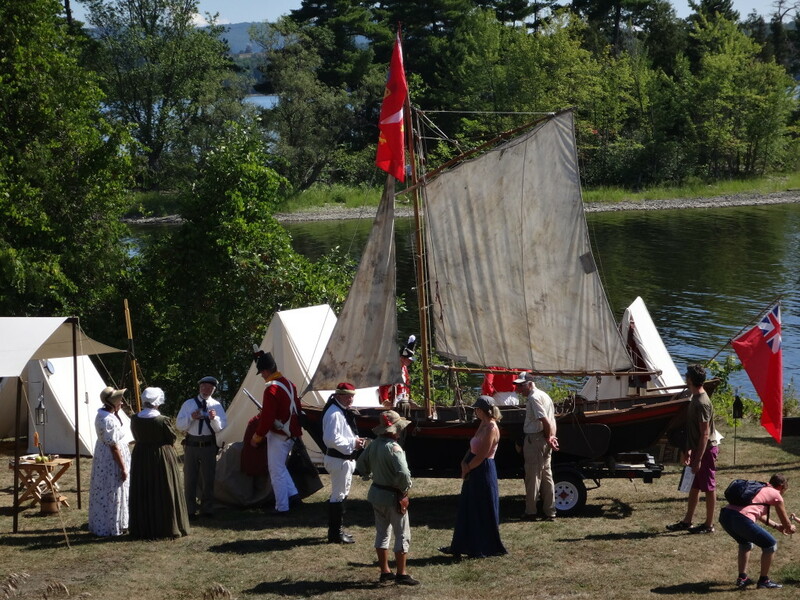 No river figures so strongly in Canada’s history as the Ottawa. 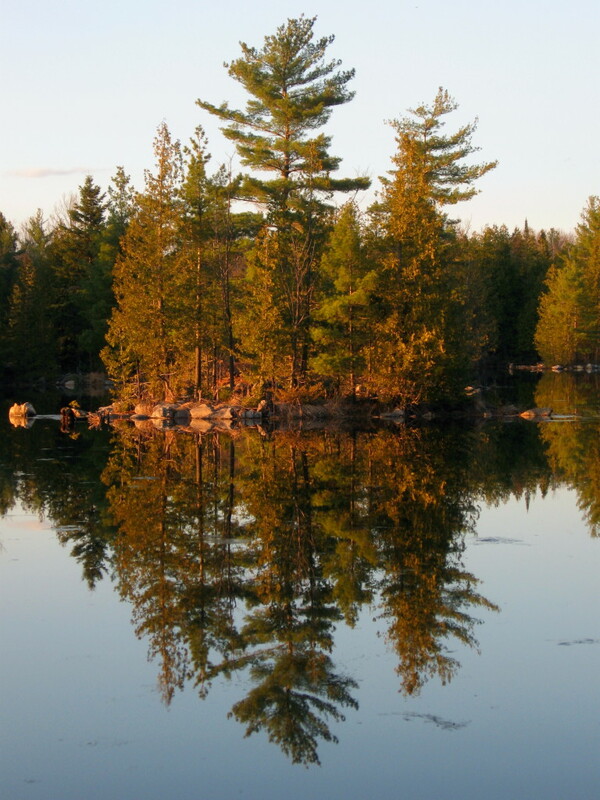 For Aboriginal peoples, for early European explorers, for fur-traders and for pioneer loggers, the Ottawa River provided the most direct route into the heart of Canada. 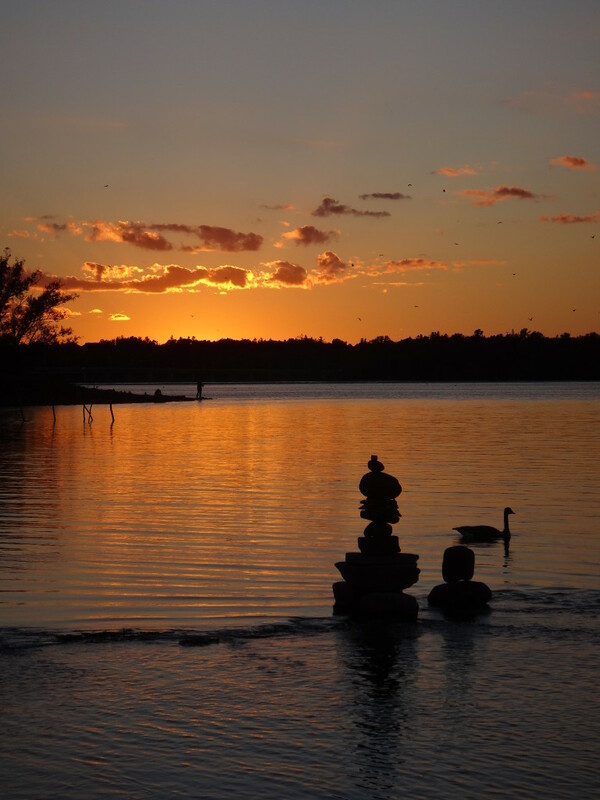 The first Aboriginal sites along the Ottawa River date back 6000 years. Samuel de Champlain’s Aboriginal guides led him up the Ottawa River in 1613. The last timber raft floated under Parliament Hill in 1908, and log drives continued on the Ottawa River until 1990. 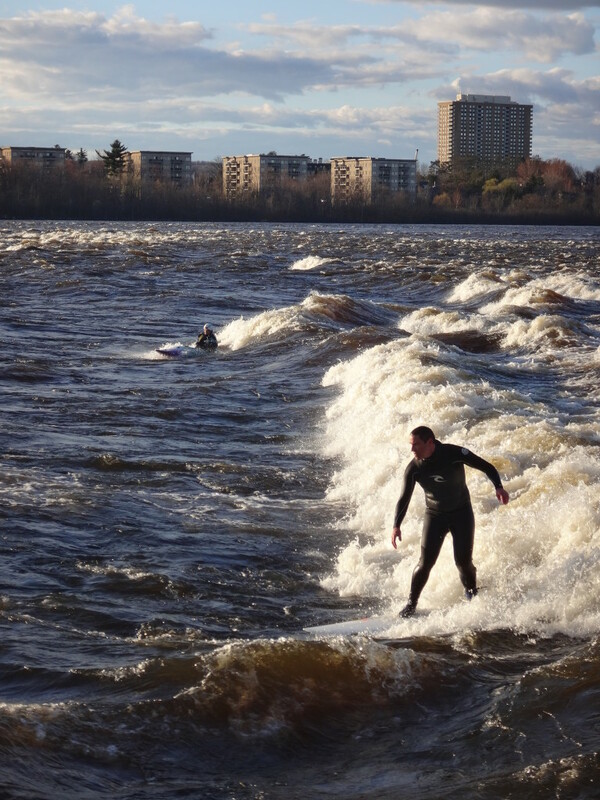 During the last half of the 19th Century and well into the 20th Century, power from the Chaudiere Falls supported thriving industries along the Gatineau and Ottawa shorelines. The river gave birth to Canada’s atomic industry, at the Atomic Energy Commission Laboratories in Chalk River. 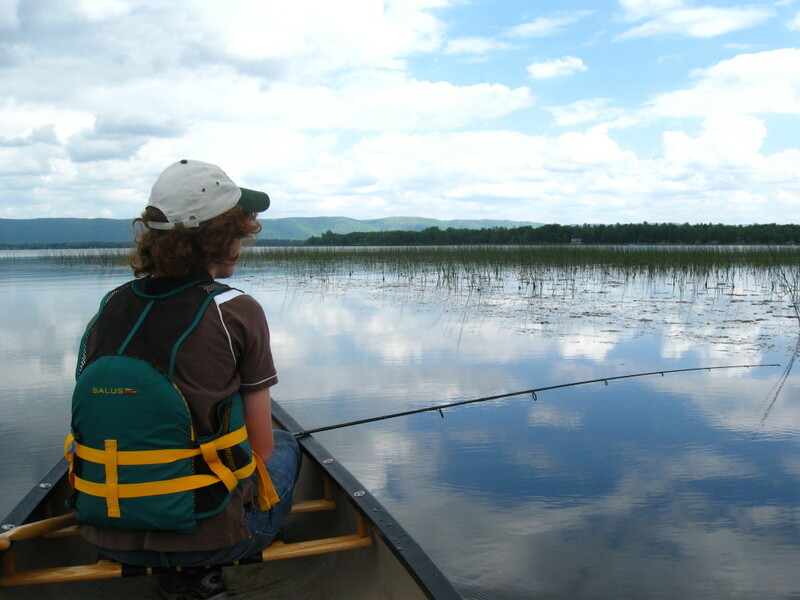 Hydro-electric dams continue to operate along the river, while the lakes behind them provide recreational boating and fishing that help to support thriving communities up the Ottawa Valley. 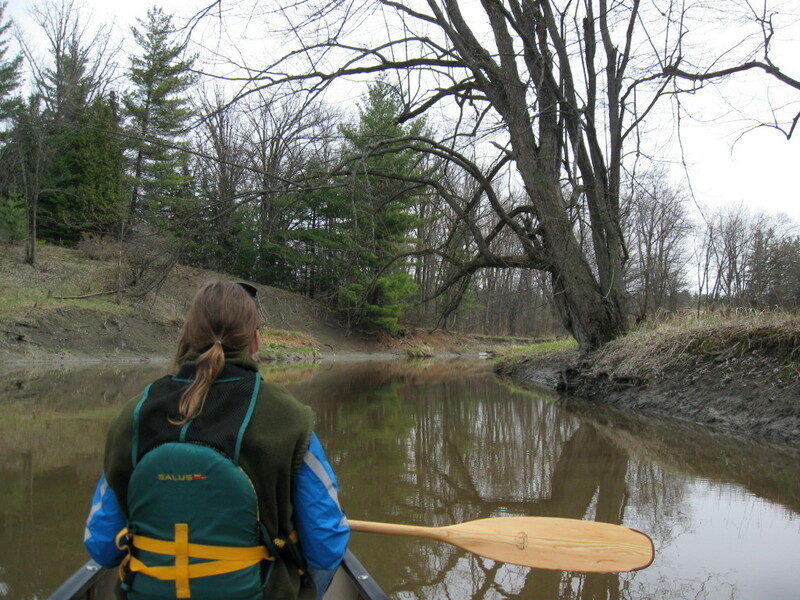 A paddle along the Ottawa River is literally a paddle through the history of the country. Fortunately, almost all of the Ottawa River lies open to pedestrians, cyclists and paddlers. Multi-use pathways line both shorelines through the urban core, with numerous lookouts and beaches providing access to the water. Most of my favourite cycling routes begin beside the Ottawa River Locks, on the Rideau Canal, sandwiched between the Parliament Buildings and the Chateau Laurier hotel. From there, a National Capital Commission cycling path travels beside the river, under the bluffs of Parliament Hill, below the Supreme Court of Canada and past the historical Aboriginal site of Victoria Island. At the Portage Bridge, the trails begin to branch, some continuing along the Ontario shoreline upriver past the Chaudiere Falls and the Canadian War Museum, some crossing over the Portage and Chaudiere bridges to the Quebec shoreline. The National Capital Commission publishes a map of its trail system, showing the available destinations and routes (http://www.ncc-ccn.gc.ca/places-to-visit/parks-paths/things-to-do/cycling-capital-pathways). 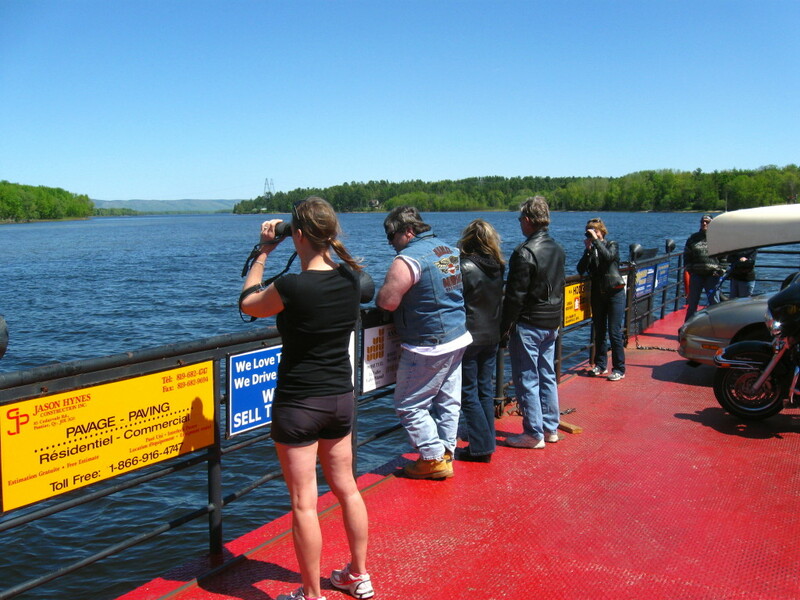 My favourite ride makes a loop through Gatineau, on the Quebec side. From the Chaudiere Bridge, it heads briefly upriver, then turns north into Gatineau Park, makes a quick detour to Pink Lake, heads east to the Gatineau River, goes back down through Lac Leamy Parc to the Ottawa River, and then crosses the Alexandra Bridge at the Canadian Museum of History. It’s a challenging ride through beautiful scenery: steep climbs and descents along forest trails and roads, winding pathways past wetlands, boardwalks and bridges over creeks and along shorelines. For a shorter, easier trip, I like to ride upriver along the Ontario shoreline to Mud Lake and Britannia Park. Along the way, I sometimes stop at Lemiuex Island to view the colonies of gulls, cormorants and night herons on the adjacent, smaller islands. 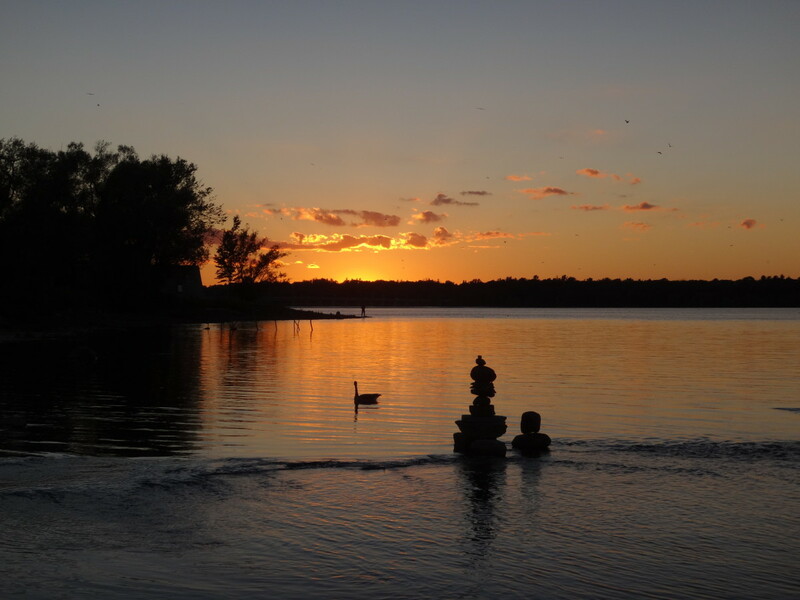 I stop at Remic Rapids to admire the balanced rock sculptures in the shallows of the river. Near Westboro Beach, I often take a detour into Westboro Village for coffee at Bridgehead, a browse through Mountain Equipment Co-op, or a meal at one of the cafes and restaurants. Reaching Mud Lake, I may dismount for a walk through the natural area or carry on to Brittania Beach or Andrew Hayden Park. 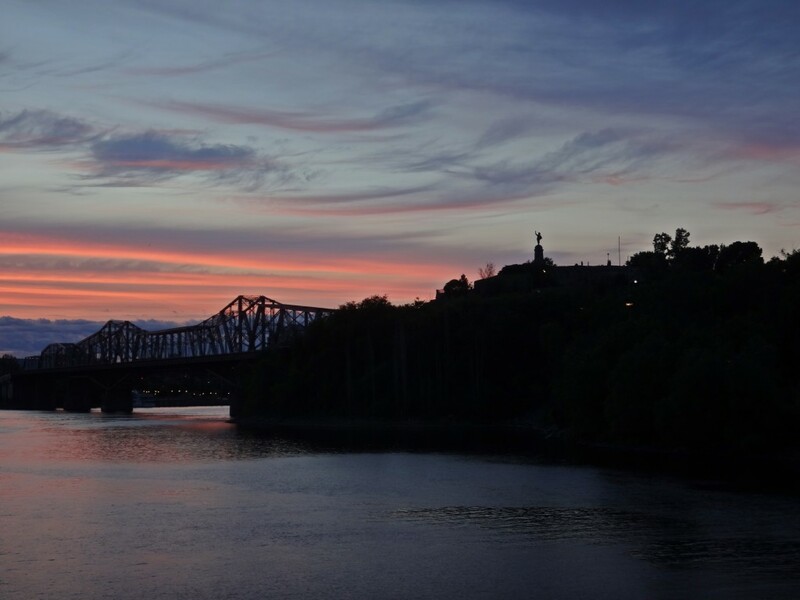 I usually time my ride back home for the evening, when the sun sets behind the Quebec shoreline, sending its apricot glow across the river. On calm mornings, I will often load my canoe on to a Vrtucar (a local car-sharing business) and head off to one the river’s quieter areas. Petrie Island, in the east end of the City, is a wonderful destination. 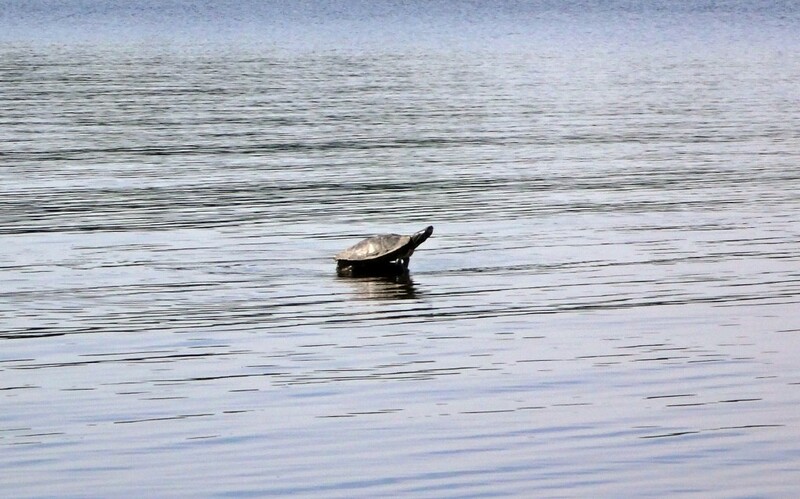 The provincially significant wetland inshore of the island provides sheltered canoeing, with opportunities to photograph the area’s many birds, turtles (including the threatened map turtle), and beautiful swamp forest. Downstream of the island, the mouth of Cardinal Creek provides one of the river’s most important fish habitats. A low squeeze under the Highway 174 bridge takes one into the lower reach of Cardinal Creek: a marvellous, meandering paddle through a superb floodplain wetland entrenched in a deep valley. At the opposite end of the City lies Constance Bay, which deserves a full blog post of its own. 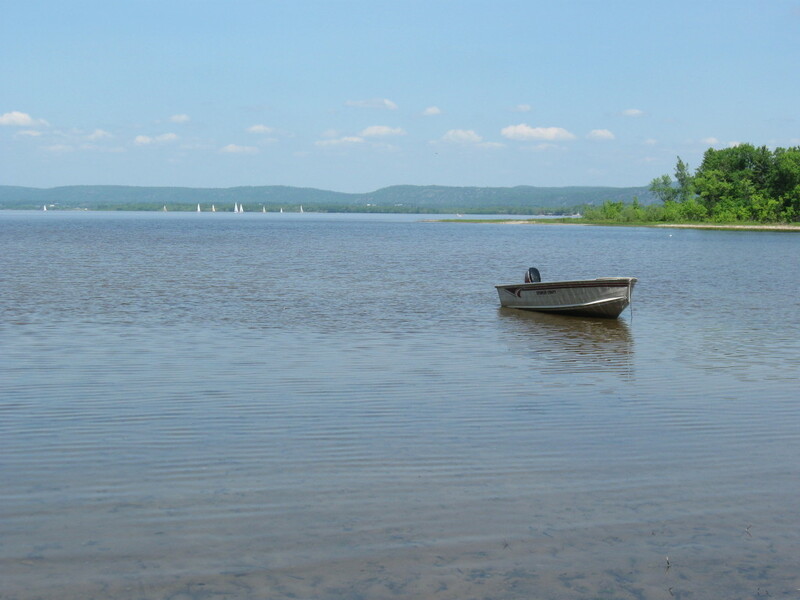 Lying at the upper end of a relict, post-glacial flow channel paralleling the Ottawa River, Constance bay forms a wide, shallow, sandy-bottomed crescent at the mouth of Constance Creek. Cottages and homes line the shore, but access to the Bay is possible from City road allowances at the end of Greenland Road on the east side of the bay and Lane Street on the west side of the bay in the Village of Constance Bay. The shallow, sandy bay is delightful for wading, warm in the summer and easy on bare feet. 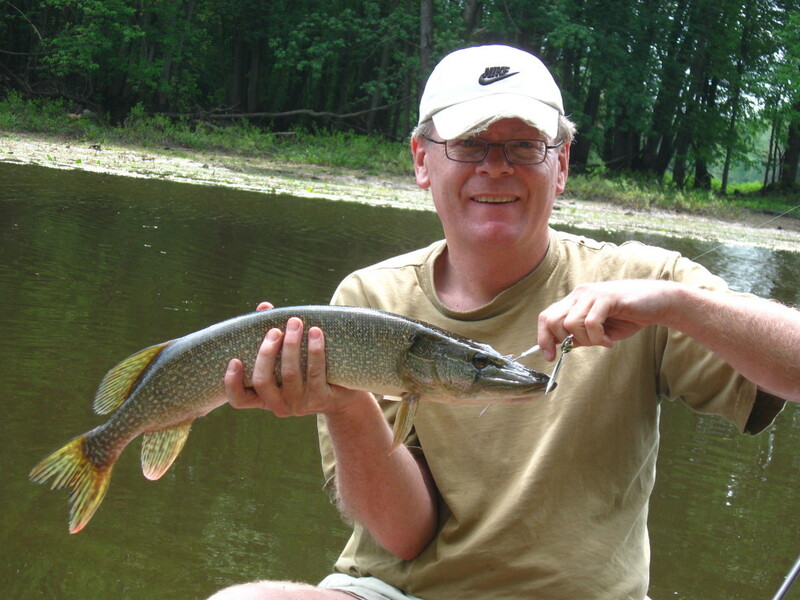 In the spring, just east of the creek mouth, longnose gar spawn and hunt in mere centimetres of water, “finning” in the shallows. Pike lie in ambush in the reed beds. 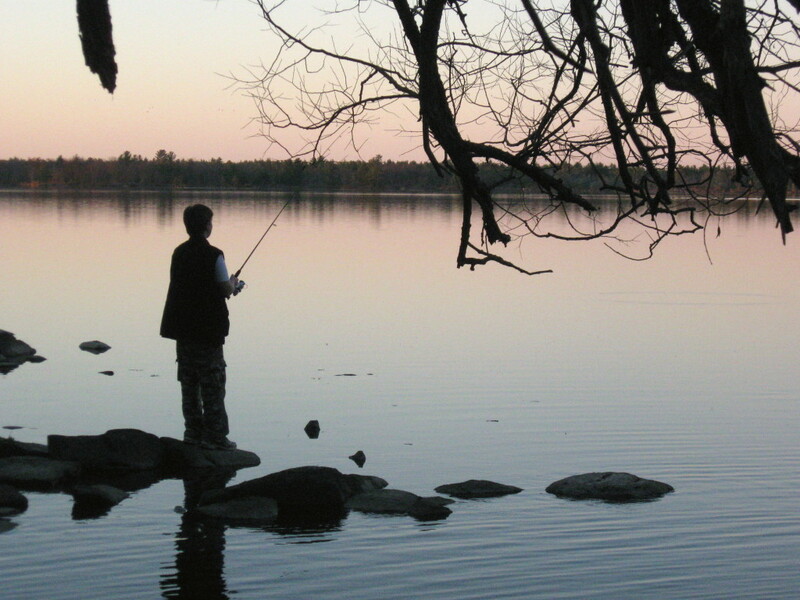 Catfish wait in the channel of the creek, and walleye hunt along the dropoffs. Waterfowl abound. 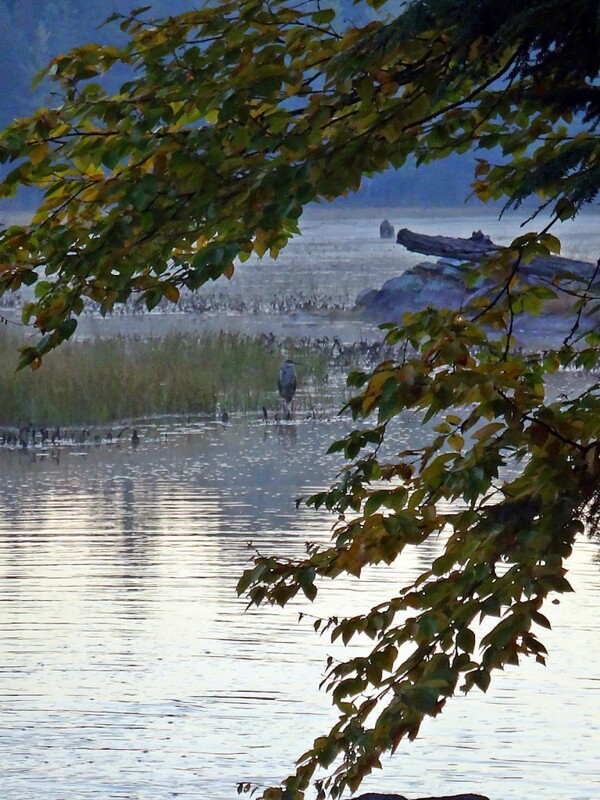 Herons hunt frogs. 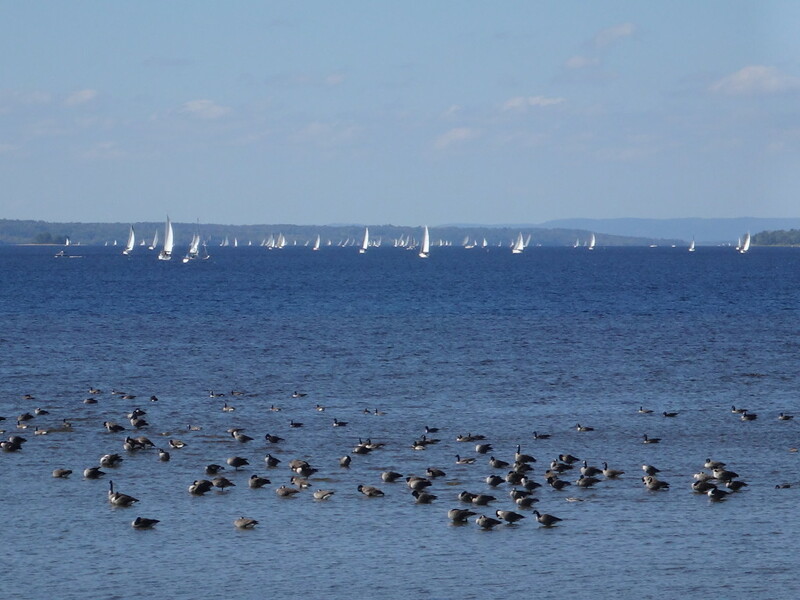 Gulls and terns patrol the shallows, waiting to plunge onto schools of small minnows. Within the mouth of creek, along the edge of the silver maple swamp, songbirds flit and sing. It may be the prettiest spot on the river. 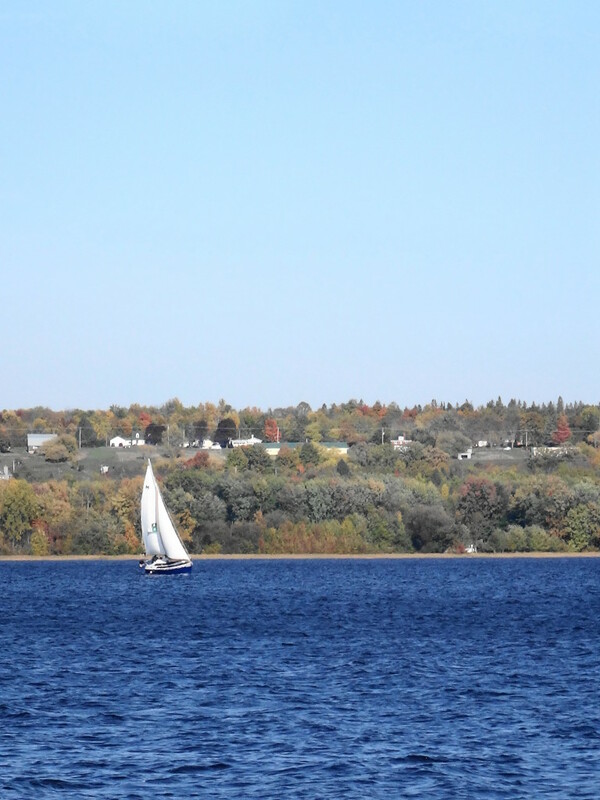 The Ottawa River simply offers too many places to visit and things to do to describe in one short post. Just within the boundaries of Ottawa and Gatineau, one can find places enough to fill a summer with exploration: Morris Island Conservation Area, Fitzroy Harbour Provincial Park, The Quyon Ferry, Piney’s Point Historical Site, Sheila McKee Park, Shirley’s Bay, Andrew Hayden Park, Bate Island, Lemieux Island, Victoria Island, Rideau River Falls, Rockcliffe Park, Green’s Creek, Upper and Lower Duck Islands, Lac Leamy Park, Baie McLaurin, Baie Lafontaine. 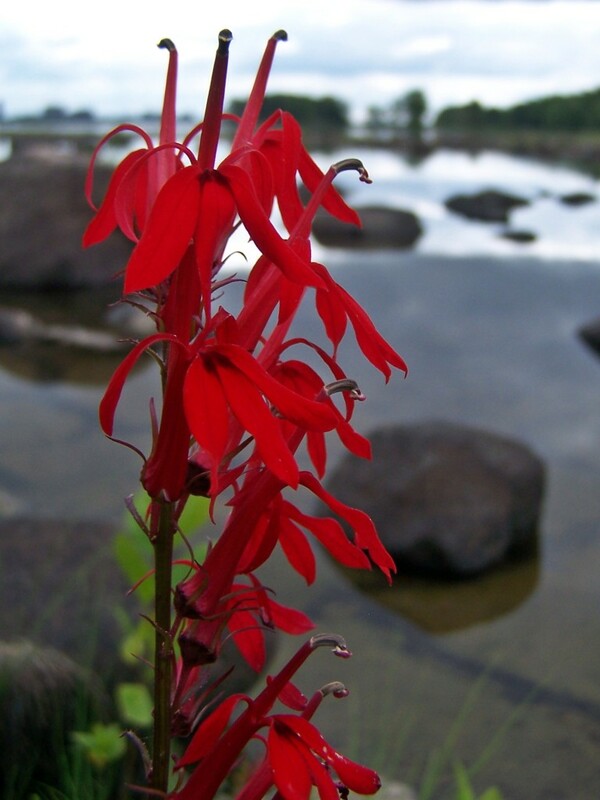 Beyond Ottawa, even more opportunities abound, such as whitewater rafting in Beachburg, only 90 minutes north of the City, camping in Voyageur Provincial Park or Driftwood Provincial Park, an hour downriver and two and half hours upriver respectively, or houseboat cruising on the Upper Ottawa River. Somewhere, there’s a deserted beach waiting.